A crispy fried chicken burger with free range Other Side Fried chicken, bacon, American cheese, Urban Chilli Honey, lettuce, pickles. 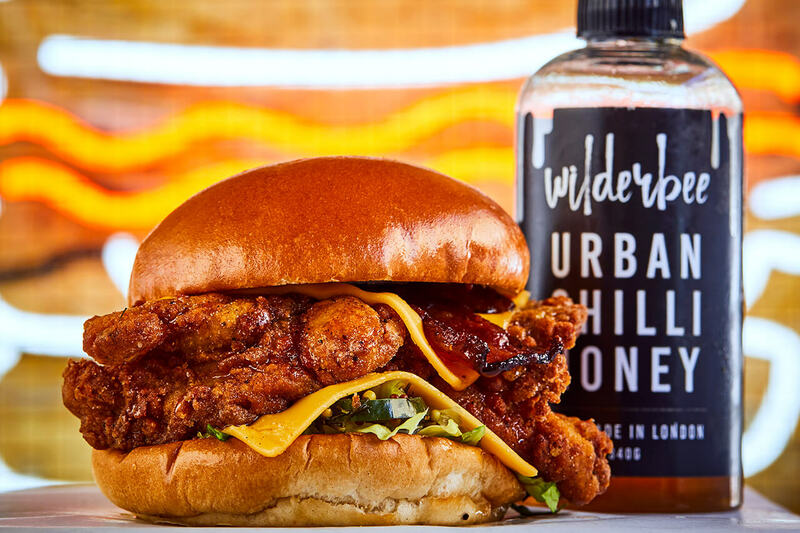 We’ve collaborated with street food heroes Other Side Fried for our second ever fried chicken special – our take on their Honey Butter best seller. This burger is only available at our restaurant in Peckham. Other Side Fried was started by two friends Tommy and Matt back in 2014. 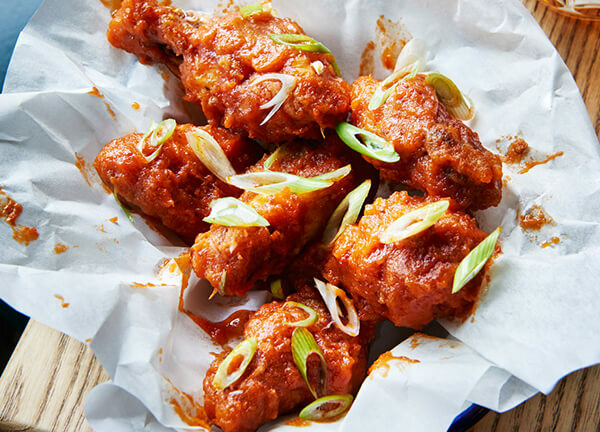 Their aim was to make the best fried chicken around – “dirty done proper” in their words. 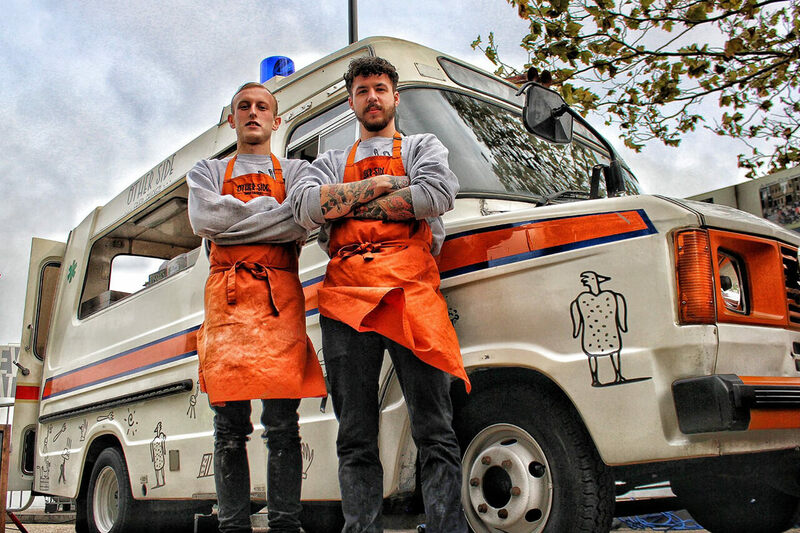 The lads are a fellow made-in-Brixton success story, landing their big break at street food market Pop. 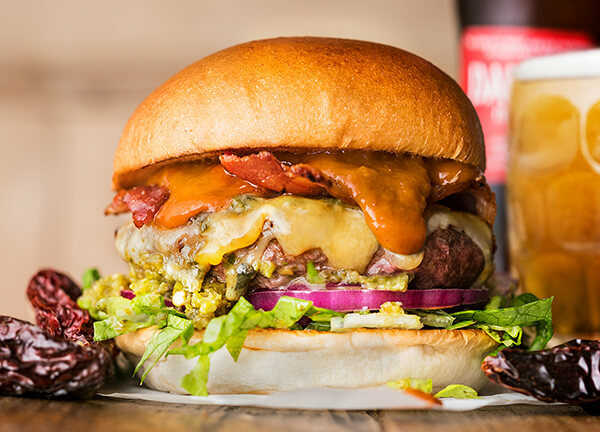 In June 2018 we put this burger on the menu at all of our restaurants and it was an instant hit. Our best-selling special ever has landed in Peckham.